Cherokee is a very fast, flexible and easy to configure Web Server. It supports the widespread technologies nowadays: FastCGI, SCGI, PHP, CGI, TLS and SSL encrypted connections, virtual hosts, authentication, on the fly encoding, load balancing, Apache compatible log files, and much more. 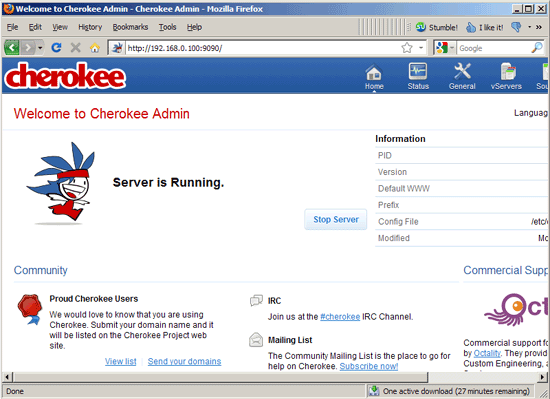 This tutorial shows how you can install Cherokee on a Debian Squeeze server with PHP5 support (through FastCGI) and MySQL support. [11/04/2011 12:14:18.622] (error) rrd_tools.c:120 - Could not find the rrdtool binary. I do EXACTLY what you say and there is no error so good job! 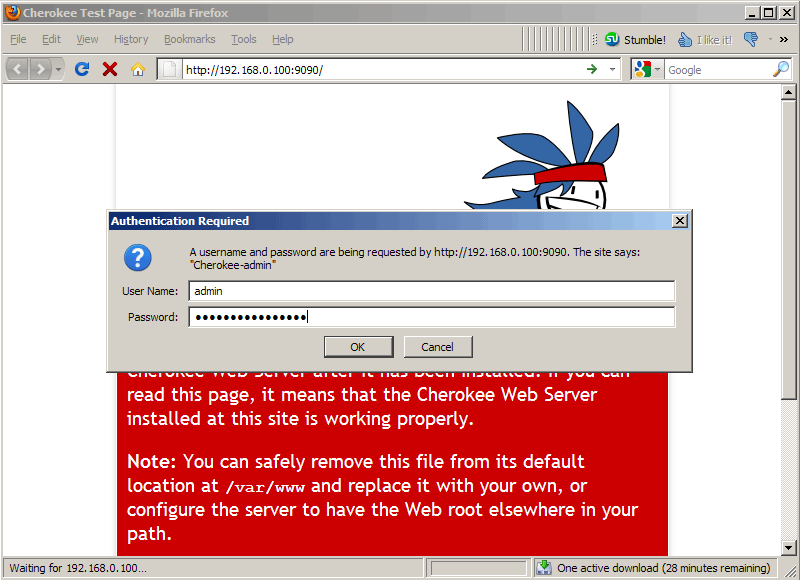 But i get a "405 Method not allowed" when, at the end of the install, when i connect to "http://localhost/phpmyadmin/" ... Three days on that point, many fresh install and tries and still no solutions... Any idea please ? 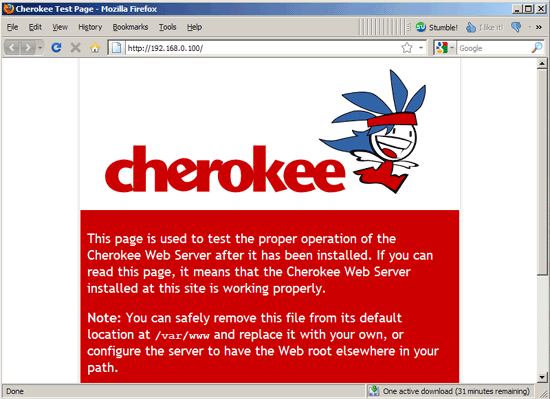 Getting the same thing with this server. this guide is perfect! I've created a web server from zero in an half hour without error! !